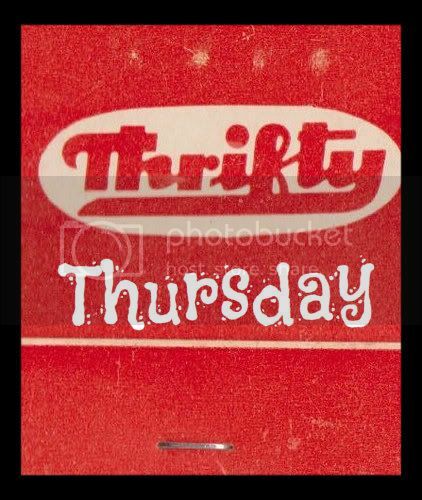 Well it's Thursday today and I must admit it's been such a turbulent week I almost forgot about my new baby, aka Thrifty Thursday! Well this week it has to be Isabella Oliver, though actually this isn't on offer anymore, but I wanted to show off about it anyway. It's the Isabella Oliver Breton Zip Dress which is £99, though this sounds a lot, there was a 50% off day last week where it was £49.50 which is a complete and utter bargain. Great for a "throw on" dress when you get back from work hot and bothered, but smart enough to dress up on holiday with some nice wedges. I also bought this lovely shift dress in H&M last week, what a bargain at £19.99, I actually bought it in lime green which is absolutely gorgeous, with a pink skinny belt. Not very thrifty so far, but lovely things all the same! I'm going to delve into my favourite website ebay for my ultimate item of thrift now. I really love this fingerprint jewellery, (I blogged about it a while ago), which is only £35 for a necklace, about half the normal price on the high street, and fab quality too. Finally, this is something I picked up at local store, Flouncy Flouncy for £22 (on sale). 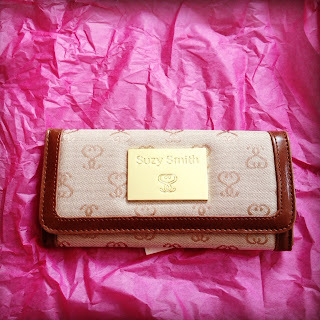 It reminds me a bit of a Fendi purse I saw in Harvey Nichols, but much MUCH cheaper. I have no idea when I will use it, but I had some good news yesterday and wanted to treat myself. I received no financial incentive to write about any of this! I just like it! Ooh, what's the good news then eh?